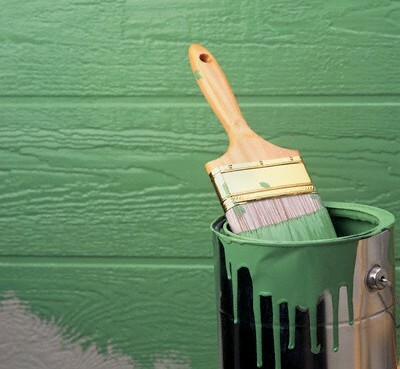 If it difficult for you to find Good Painting services or Professional Painter in Eastern Suburbs that would come with budget-friendly rates, then this is the right place for you because Zoran the Painter has all the painting services you could ever ask for and that too at the most competitive rates! We are first-class quality full-service painting contracting company that has been established for over 20 years. We have been vigilant, skilful and compassionate all these years and these very qualities have enabled us to build for ourselves a trusted reputation. Over the many years of providing our top quality services to our customers, our painters and handymen have developed professional skills and experience that are required to exceed our customers’ expectations. We are as quick as possible in completing our projects with no compromise on the exceptional quality of our work and we are also very cautious not to exceed your budget. Part of the secret behind the exceptional quality of the work we do (other than experience and skill, of course) is how we prepare the walls before we start painting them. We start off by cleaning the area we have to work with. So when all the dirt, dust and mildew have been removed with the help of our environment friendly detergents, we let the walls dry out completely. After that, all loose paint and chipped areas are fixed and the surface is made even before a coat of primer is applied. Then, with our top quality premium paints, we apply an even layer of paint. We make sure that other areas which are not to be painted are covered to protect them from any spills and unwanted stains. When finished with our work, we conduct a thorough inspection and make sure that everything required by the customer in the contract has been worked upon and that there is no mess left to clean before we leave. Since We are Dulux Accredited Painters, we can provide you with the amazing Infra COOL technology which is known to reflect and emit both the visible and invisible infrared light accounting for over 50% of the Sun’s total light energy. This results in a much cooler building. This sustainable method of keeping your premises cooler during the hot summers also leads to an environmentally responsible economic growth since you don’t resort to using electronics for cooling your premises. We are a strong believer in being quick and efficient in completing projects. We are well aware of how hectic it can be to have work being done on your building which obviously slows down your business. Thus, to achieve the highest level of customer satisfaction, we provide our customers with fast, clean and efficient services. Our reliable and honest team of painters pay attention to detail and are good at bringing out a graceful outlook after completing their job. Your commercial buildings will thank you for choosing us to revive them. We at Zoran are your most reliable painting service company option the likes of which you will not come across anywhere. Call us today on 1800 825 258 or drop us an email at admin@zoranthepainter.com.